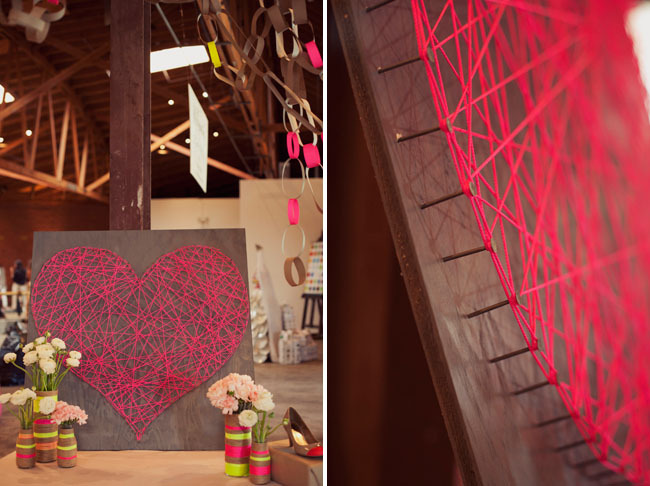 • piece of wood – the bigger the more dramtic! Step 3: Time to get the hammer out! 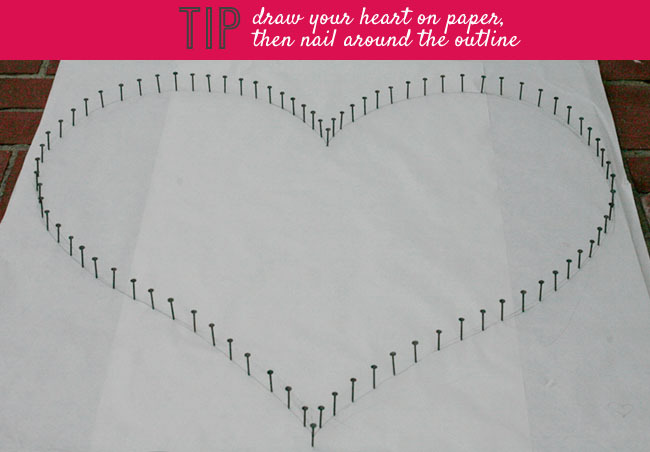 Nail around the entire outline of the heart – we spaced our nails about an inch apart. Step 4: Once all your nails are in. Remove the white paper and throw it away. Step 5: Now the fun part. 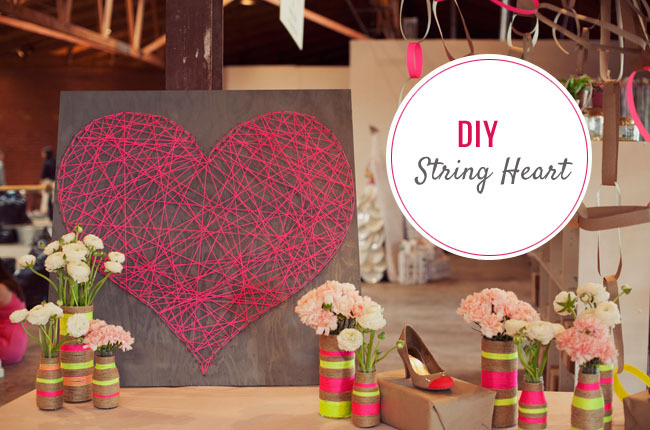 Get your string and tie a knot around the head of one of the nails. 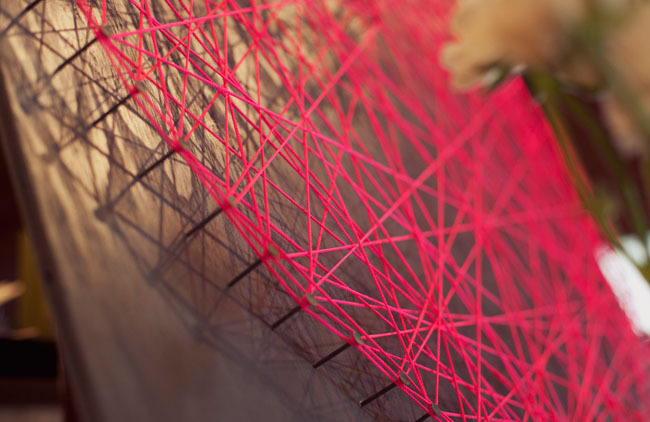 Keep stringing the string around nails. There isn’t a right or wrong way – just keep going until you like the pattern you created. 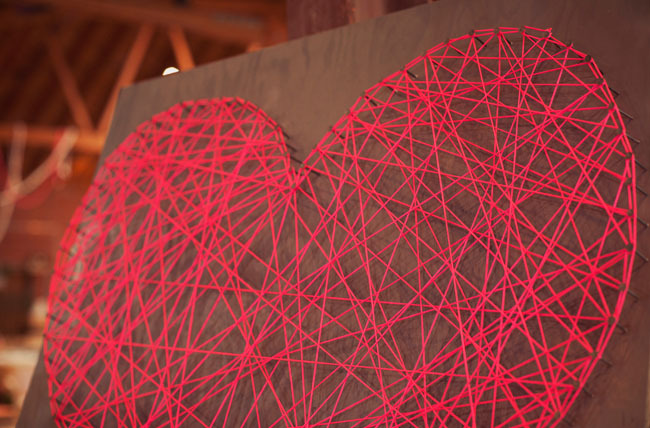 I also then outlined the entire heart to make the outline pop a bit more also. Total cost for this project – $35 (the most expensive part is the wood!) and it can be done in a few hours. 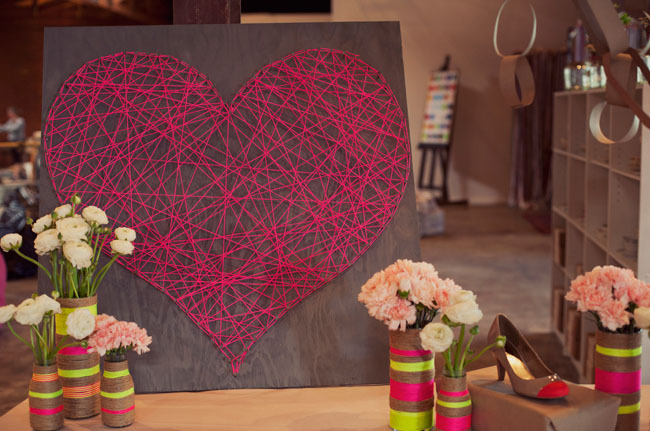 There are so many different ways you can customize this DIY for your own wedding day, right? So fun.